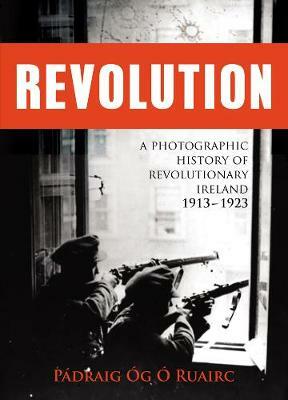 The period from 1913 to 1923 in Ireland's history of rebellion, is undoubtedly the most significant. The period takes in the revival of interest in all things Irish around 1913, the heroic Easter Rising of 1916, the bloody War of Independence 1919-1921 and the bitter Civil War of 1922-1923. Here for the first time, are images of those two episodes, the people, the places, city and country, with insightful commentary describing the context of each photograph. This book gives the reader glimpses of what happened and what life was like during the Irish revolution through photographs of the time. Photographs played an increasingly important role as the Irish struggle for independence took hold, first as memorabilia after the Easter Rising, later as propaganda and were also of vital importance in `the intelligence war' fought between the IRA and the British. Includes previously unpublished photos sourced from private collections, the Irish Military Archives, Kilmainham Gaol and British military museums.